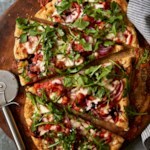 This enticing seafood pizza boasts a crispy whole-wheat and cornmeal crust that's sweetened with just a touch of honey. Combine yeast and warm water in a small bowl. Let stand for 5 minutes. Stir in honey and olive oil. Combine whole-wheat flour, cornmeal, and salt in a medium bowl. Stir in yeast mixture. Stir in as much of the all-purpose flour as you can. Turn dough out onto a lightly floured surface. Knead in enough of the remaining all-purpose flour to make a moderately stiff dough that is smooth and elastic (3 to 4 minutes total). Shape dough in a ball. Cover; let rise in a warm place until nearly double in size (30 to 45 minutes). Preheat oven to 425°F. Grease an extra large baking sheet or two small baking sheets; set aside. Punch dough down; divide dough in half. Let rest for 10 minutes. 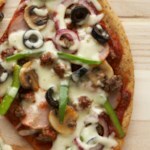 Roll each dough half on a lightly floured surface into a 10- to 12-inch oval. Transfer to prepared baking sheet(s). Prick dough oval with a fork. 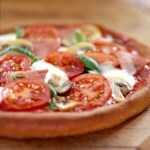 Bake for 6 to 8 minutes or until lightly browned. 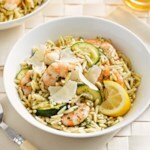 If desired, halve shrimp lengthwise. 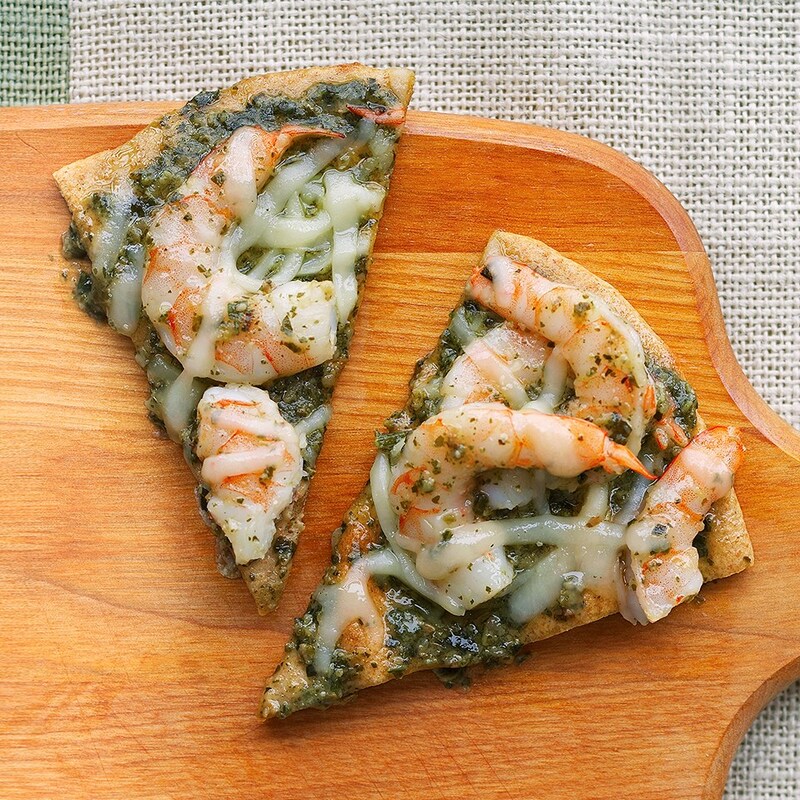 Toss shrimp with 1 tablespoon of the pesto to coat. Spread the remaining 4 tablespoons pesto over baked crusts. 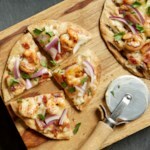 Top with shrimp; sprinkle with mozzarella cheese. Bake for 5 to 8 minutes more or until bubbly. 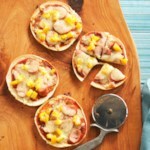 Cut each pizza into six slices.